A fun addition to our product range for 2019! 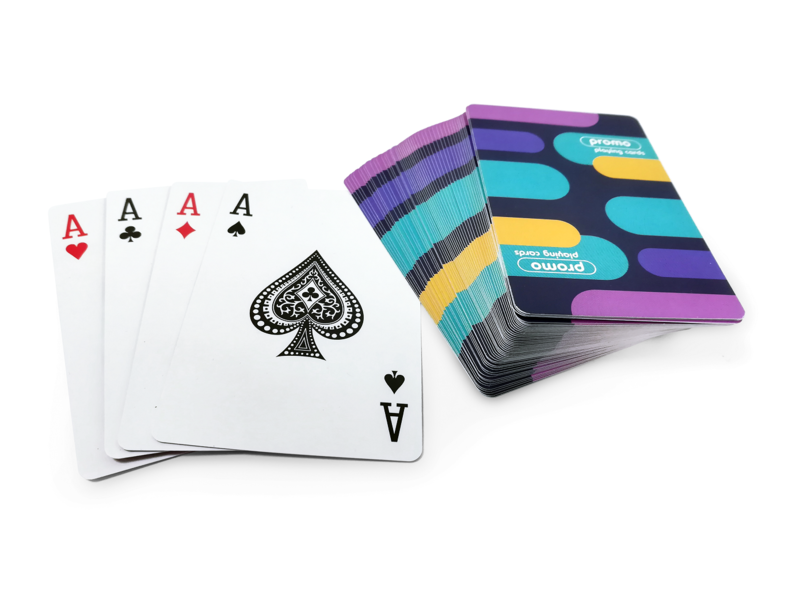 Playing cards are one of those items that people will keep and be reminded of your brand every time they play a game. 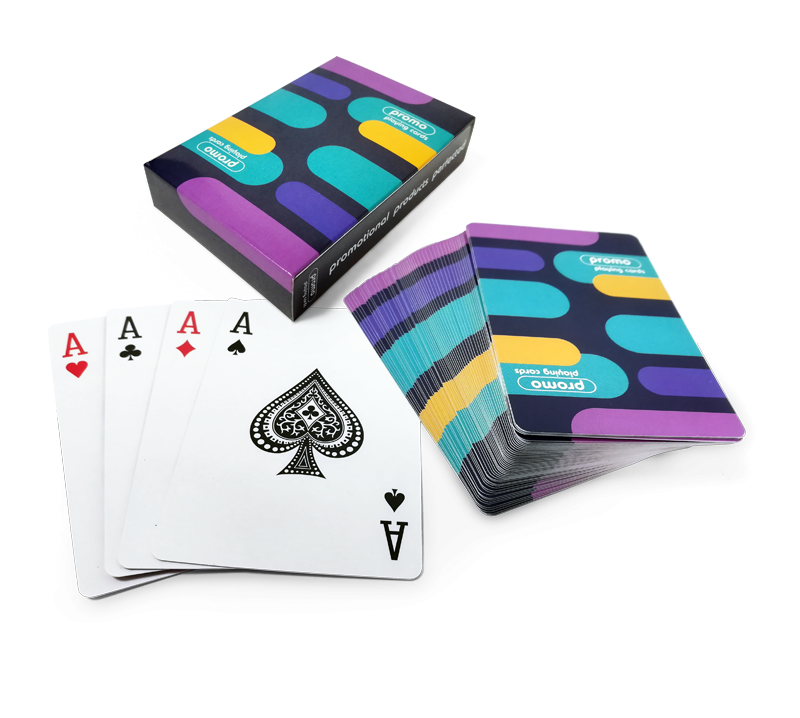 With full colour edge to edge print on all external surfaces of the box and the reverse of the playing cards. The faces are supplied with standard designs but can eb bespoke printed POA. The cards are 87mm x 57mm on 270gsm paper. 54 cards per deck including 2 joker cards.